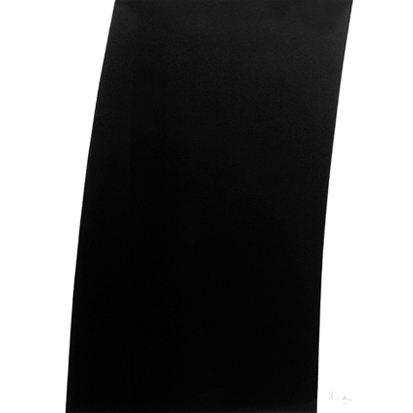 Considered one of the world’s most important sculptors, Richard Serra is a hugely influential and controversial artist. Emerging from the 1960s radical art scene, Serra continues to be contemporary and relevant today. Serra works site specifically, creating sculptures that interact with a space and its inhabitants. The artist creates large-scale minimal abstract forms, primarily constructed using industrial materials including fiberglass, rubber, steel and lead. 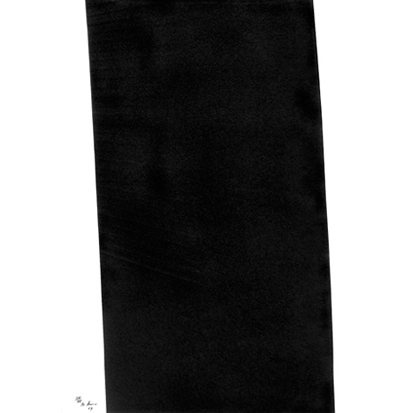 Serra’s works on paper are key to his practice and involve an exploration of physical space. Serra supported his early studies by working in steel mills, an experience that went on to inform his artistic practice. He also sites his father’s work as a pipe fitter on a San Francisco shipyard as a formative influence. Serra studied with seminal art world figures including Josef Albers and Philip Guston. After relocating to New York in the late 1960s, the artist moved in a circle of friends that included artists such as Carl Andre, Walter De Maria, Eva Hesse, Robert Smithson and Sol LeWitt. Serra has created large-scale, site-specific works across the world, focusing on the transformation of space using gravity defying monumental forms including spheres, arcs, spirals and ellipses. His works have been installed worldwide, including 'The Matter of Time' (2005) at the Guggenheim Museum, Bilbao, 'Wake' (2003) at the Olympic Sculpture Park Seattle, and '7' (2011) in Doha Harbour, the 80 ft high sculpture was commissioned by the Qatar Museums Authority. The significance of Serra’s work in debates concerning the siting of artworks in public spaces cannot be overstated. One of his most famous pieces 'Tilted Arc,' 1981 is considered to be one of the most controversial pieces of twentieth century public art. Serra installed a 12 ft high, 120 ft long curved steel sculpture in the Federal Plaza in New York City. Debate over the piece led to the artist receiving death threats, a public hearing in 1985 and Serra suing the federal government. The piece was subsequently removed in 1989. 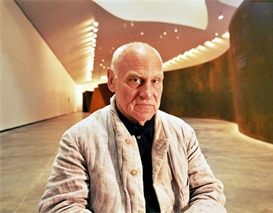 Serra’s work is held in important public and private museum collections including the Museum of Modern Art, New York; Guggenheim Museum, New York; and the Los Angeles County Museum of Art. Serra was awarded the Skowhegan Medal for Sculpture (1975), the Goslarer Kaiserring (1981) and the Wilhelm Lehmbruck Prize for Sculpture (1991). The artist is a fellow of the American Academy of Arts and Sciences, a member of the Orden Pour le Mérite für Wissenchaften und Künst and Commandeur de L’Ordre des Arts et des Lettres. He has also been awarded the Japanese world culture prize, the Praemium Imperiale.